Home › Reviews › What Is The Roadie App? Price: Payment Per Job Varies. What is The Roadie App and can you make money with this app? There are many unique ways to describe this very fascinating and exciting company. To get a quick summation of what Roadie is, well look at a few of snippets I found that explains this company. The First on-the-way delivery network. Say hello, to faster, cheaper, friendlier way to send stuff. The Uber of Shipping and Delivery. Find Gigs. Drive Gigs. Get Paid. Towards the bottom of the page, I have a special promotion for new users to Roadie. $10.00 towards your first Gig. So remember to sign up to earn an extra $10.00. This company is conceptually founded on the premise of somebody is leaving and heading out to go somewhere all the time, and we all know packages need to go everywhere all of the time. This is where Roadie comes in, they then use their platform to link up shippers with drivers to connect the two. Either across town or even across the country and anywhere in-between. Drivers are paid about a week later by Roadie for a completed Gig, and senders also must pay Roadie to have their packages delivered. Gigs are what Roadie calls their delivery jobs. Pretty simple, but ingenious, all the while filling a gap in a niche market for shipping. I wrote a similar review on renting your car for money it can be found here, Is Turo Legit?. So say you are going on a 500-mile road trip, so you enter into their app basically your starting location and your destination to see if delivery is en-route. A Gig could be in your city or along your route, or even a little out of your way, but the nice thing is you decide. You have full control on whether it works with your plans or not. 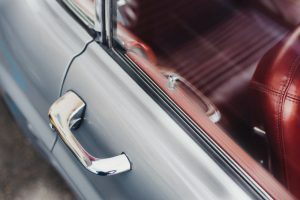 Roadie wants and is tapping into this resource thereby making job opportunities for drivers or travelers, supplying a faster and cheaper method of shipments for people wishing items shipped. A genuinely untapped resource, very closely similar to the world of HotShot trucking. HotShot trucking is just a scaled-up version of Roadie, and a scaled down version the over the road trucking with semi-trucks. HotShot trucking is where business owners deliver more significant items, cars, piping, etc., where Roadie definitely has an untapped niche delivering smaller items and sometimes even bigger items. When viewing available Gigs, the sender usually posts pictures of the items they want to be sent. When the product needs to be there by. How much the Gig pays. The size of the item ship. If you have any questions about the Gig you should ask the sender before taking the job, to minimize any problems that might come up. On average 3 hours, as the times vary. 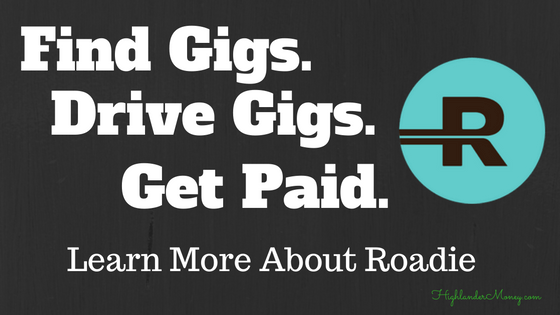 How Much Do Gigs Pay at Roadie? A nice feature is before you accept the offer you know how much a Gig pays, it is clearly shown. Generally, prices for Gigs are around $8.00 to $150.00 and can go much higher depending on size and time. Must maintain a minimum rating of 4-star rating in Roadie, this is based on feedback. Double Acceptance – A great feature, where both sender and drivers have the control to accept or decline for any reason. A great way to cut the cost of a road trip or vacation by delivering a package(s). A good feeling of helping out someone. Long and short delivery are available. Across town or across the country. Discounts for drivers from certain stores. Roadie has a blog that has many helpful tips and ideas. Roadie app is easy to use and intuitive. It is well designed and easily navigated. This company would fail if this app weren’t GOOD, so don’t worry, this app deliverers (pun intended). Senders can actively track the progress of driver. Every Gig automatically has $500.00 protection insurance. Additional coverage up to $10,000. The ability to write off mileage. The ability to send pets. 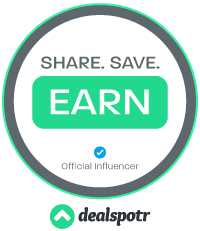 Need to be verified with a Pet Lover Badge first and then allows you to earn more money. Sign up is relatively easy. Doing Gigs, it gives you a real sense of helping someone out. You might feel a rewarding feeling knowing this while going to your destination. Multiple notifications sent from Roadie, if you been accepted for a Gig. An email and Push notification are sent. Roadie is socially conscious and has a great public image and cares. During at the time of writing this review, there is devastating flooding down in Baton Rouge, Louisiana, Roadie is allowing people to send clothing, supplies, and non-perishables to friends and family in Baton Rouge for FREE! A wonderful gestural and way to help people in need! Not a household name yet…but should be. As Roadie becomes more well known expect more job opportunities. Payments take about 1 week to receive via direct deposit. Could be a little faster but I’m sure there are reasons for this. Get verified for the Pet Lover Badge, and more jobs are then available to choose from and possibly more income. It only takes a few minutes to read and complete, well worth it. Fully complete your profile, add pictures, bio information. Makes you appear more human and engaging to would be senders. When making an offer, share your timing and logistics with them. Would imagine smaller items could be carried on airplanes or stowed in luggage if taking a flight somewhere. But remember, you still need to get the package to the final destination, either by taxi or rental car. If not enough information is provided within the Gig, tap Ask a Question tab to ask an appropriate question from the sender before accepting Gig. Try adding some details to your offer to increase the likely hood of being chosen with your offer, as sender likely receives more than just one offer. Update your progress when doing a Gig in the app, to keep sender informed. Communicate with the sender if something comes up, either by text or phone within the Roadie app. Take good quality pictures of the delivered item in a well-lighted area, to show no signs of damage during the delivery. Try to get an address within the picture as well. Plug phone into the car to continually recharge its battery, as the GPS can drain phone battery. Leave feedback about the sender, positive or negative. Just be honest and fair. If you want $10.00 off your first Gig, send me your email with your phone number included at dan@highlandermoney.com before you download the app, and I will send you a one-time text from Roadie to download the app with $10.00 off the first Gig. A great way to try out and test Roadie. The great thing about Roadie is it can be for anyone, someone looking to make some extra money or a sender looking to ship an item. It’s an excellent way for a driver to reduce the cost of travel, all the while helping out somebody in the process. So if you’re looking to make money or just reduce the cost of a vacation, there are options at Roadie that can help you with that. Roadie has multiple videos on being a driver and how to properly send stuff. Their videos are well done, entertaining and comprehensive. Should be required viewing, videos can be found here, Roadie Videos. Support is GREAT at Roadie. Tested the support at Roadie a little bit and this company gets an A+, helpful, fast, knowledgeable. Even a follow-up email pertaining to the rating of their support. They have all the usual means of support FAQ, an actual support page, submit a request page, and phone number. What is the Roadie App? Well, it’s a reliable company with a solid app, this is the new model of business in the today tech dominant world. Forward thinking and innovative. A really creative way to make extra money and/or just reduce the cost of a trip, while at the same time helping someone out. Roadie definitely has it’s own niche here, and I can see this becoming more and more popular and even a household name. It really thinks outside of the box and provides a much-needed service for cheaper than conventional methods. Roadie is completely legit and can be trusted, unlike a sketchy roadie at a death metal concert. Job availability is decent, but expect more jobs to appear when the company is more well known. Bigger cities offer more opportunities for Gigs than smaller cities. Especially for shorter distance Gigs. I solidly can recommend Roadie app, with no hesitation. If you haven’t downloaded the app already, you can click the Invite Friends button below and enter your phone number for a one-time message from Roadie with a link to download the Roadie App, Or you can send me an email at dan@highlandermoney.com with your smartphone telephone number and I will send you a text link from Roadie with a download and to receive $10.00 off your first Gig. A great way to save and to try it out. A special promotion, so take advantage of it. I was thinking about joining Uber, but this seems much better. There are safety issues with Uber, which goes both ways. The passenger could be up to no good, and the same goes for the driver. Here, you do not have to take people in your car, only packages. It’s also more private. Great points that you bring up about using Roadie over Uber. Especially if your not that much into people, Roadie is definitely more private than Uber. They both have their place in this creative environment of job creation and job services. I know before my next trip I’ll be checking Roadie for Gigs. Thanks for the input and commenting. Thank you for your very informative review about Roadie App. It is great to know that there’s an App that will help you on whatever delivery that you need. Whenever you want to send anything anywhere, Roadie is there to deliver it faster and cheaper. The thing that i like most in Roadie App is the unique way that users can get anything that will fit in their car no matter how valuable the items are and the base fee is still the same. Definitely an amazing service – complete and flexible. You just need to choose which one is suitable for your needs. Hopefully and I’m looking forward to experience it in my country as well and enjoy the good benefits of this awesome App. Your welcome, glad I could help inform you. It is an amazing unique delivery system. Isn’t it? I love the idea of helping someone out and reducing the cost of a trip. I believe too it is environmentally friendly, using resources for more than one task. Roadie is definetly here to stay. Thanks for the comment.